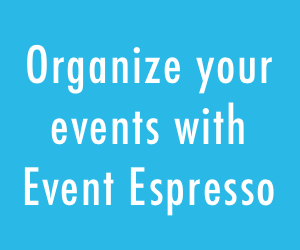 Event Espresso can be used be used for selling (or even just scheduling) skydiving jumps and lessons. Post dates and times of when classes/jumps are available. This can be done in a list view of events or on a calendar page. Allow people to purchase a different type of ticket/jump (tandem or single) and potentially pay a different price. Only allow a certain number of people to register for classes or jumps so you don’t overbook. Categorize events by drop zone or class location, etc. That way users can choose the location where they want to jump or take a class. You can use a category shortcode to create a page for each drop zone or training facility so only that location’s events are displayed. You can ask any type of question to people who register for a class. You can ask about their age or whether they have any disabilities, or how experienced they are at skydiving (how many jumps they’ve had or how recent it’s been). You can also ask how they heard about your service so you can get more information about what marketing is working. You can even create a checkbox for them to agree to your liability waiver. And much more with our great features! With the Roles & Permissions Pro add-on, you can have multiple skydiving locations/instructors/drop zones, etc. post and mange their own events. We even have a workaround for each location to get paid individually, but you can have centralized payment collecting too. With the Ticketing addon you can even give attendees/jumpers a ticket that you can scan when they arrive to validate their purchase.